Thinking about postgraduate study? You’re in luck – over 40 universities from the UK will be flocking to Sheffield on Wednesday 14 February for Postgrad LIVE! Postgrad LIVE! 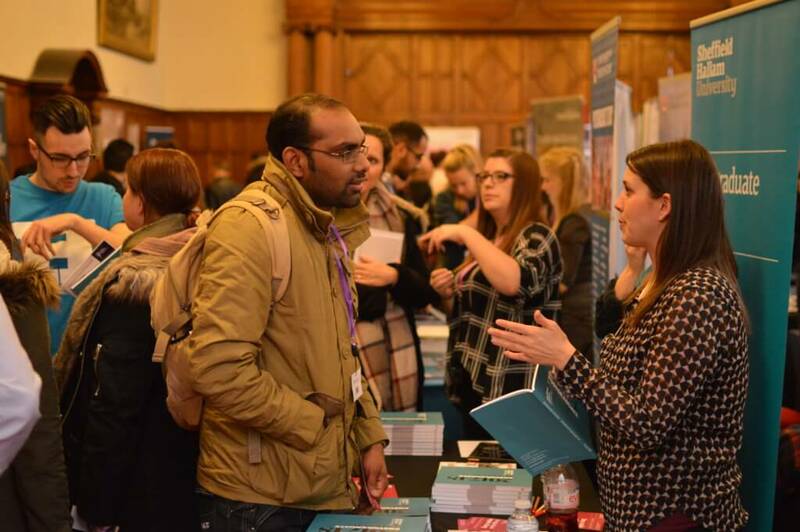 Sheffield is run in partnership with both Sheffield Hallam University and the University of Sheffield, and is a great opportunity to talk through your Masters & PhD study options with representatives from top universities in the UK and abroad all under one roof, and get application advice from the people in the know. Taking place in Sheffield Town Hall on Wednesday 14 February between 12-3pm, the event is completely free to attend and open to all. They’ll even be celebrating how much they love postgrad study by giving away FREE Love Hearts to everyone who attends! Worried about funding your studies? Postgrad LIVE has got you covered. Visit the ‘Postgraduate Loans Explained’ stand where you can pick up a copy of the Postgraduate Loans & Other UK Funding Guide 2018 and get all your questions answered. Here’s the big news for strapped students, you can be in with the chance to win £1,000 just by pre-registering and attending the event! PhD Research Proposal Masterclass – Helpful hints and tips to ensure your PhD application stands head and shoulders above the rest! Postgraduate Loans Explained – Up to date information and advice about the UK’s new postgraduate loan systems.